NEW YORK, PARIS, & BATH, United Kingdom--(BUSINESS WIRE)--Today, AdaCore and Altran announced a new space application for the GNAT Pro technology and SPARK language toolset, with the successful launch of Vermont Technical College’s Lunar CubeSat. The tiny satellite, measuring only 10 cm x 10 cm x 10 cm and weighing 1.1 kg, was launched into a 500 km earth orbit, where it will remain for about three years to test the systems that will be used for the eventual lunar mission. 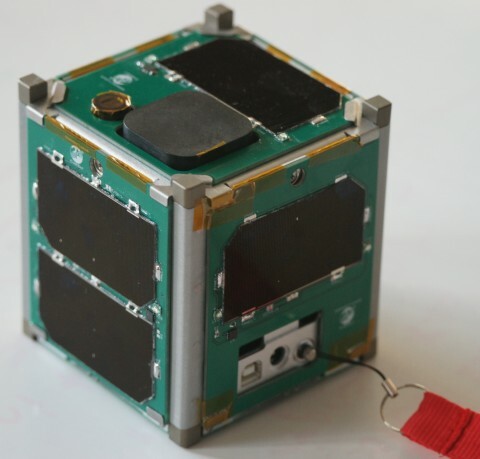 The CubeSat project is part of NASA’s ELaNa IV program (Educational Launch of Nano-satellites). The CubeSat’s navigation and control software was developed in SPARK/Ada using AdaCore’s GNAT Programming Studio (GPS) IDE and GNAT Pro compiler and exploiting Altran’s SPARK toolset to prove the absence of run-time errors. The software was developed at Vermont Technical College by a team of undergraduate students under the direction of Dr. Peter Chapin. Although they had no previous knowledge of SPARK or Ada, the students came up to speed quickly and were able to take advantage of SPARK’s various annotations to produce robust code. For more information, please visit http://www.cubesatlab.org. Altran is a global leader in innovation and high-tech engineering consulting. The company is a trusted innovation and engineering partner of UK businesses throughout the automotive, aerospace, defence, energy, life sciences, rail and telecoms sectors. Its mission is to enable organisations to develop, deploy and integrate leading-edge systems, products and services. In the UK, Altran’s offices are located in Bath, Bristol, London, Loughborough, Manchester, Slough and Warwick. The Altran Group has 500 major clients and a global network of 20,000 employees, operating in over 20 countries. AdaCore and Altran announced a new space application for the GNAT Pro technology and SPARK language toolset, with the successful launch of Vermont Technical College’s Lunar CubeSat.